Rachel Walker was born in Boston, December 27, 1745. Born in Boston’s North End in December, 1734, Paul Revere was the son of Apollos Rivoire, a French Huguenot immigrant, and Deborah Hichborn, daughter of a local artisan family. Rivoire, who changed his name to Revere some time after immigrating, was a goldsmith, and eventually the head of a large household. Paul Revere was the second of at least nine, possibly as many as twelve children, and the eldest surviving son. Paul was educated at the North Writing School and learned the art of gold and silversmithing from his father. When Paul was nineteen (and nearly finished with his apprenticeship) his father died, leaving Paul as the family’s main source of income. Paul Revere was one of the finest American craftsmen of the late eighteenth century. Following his father’s death in 1754 and military service during the French and Indian War, Revere took over the family goldsmithing business. Within a few years, he had established one of the largest shops in Boston, where he crafted and repaired silver and gold items, and engraved trade cards, bookplates, billheads, illustrations for magazines, and other commercial works. In August, 1757, Revere married Sarah Orne. Together, they had six children who survived. In February 1770, Paul Revere moved his family from their Clark’s Wharf residence into a newly purchased home, which proved ideal for Revere’s growing family and his mother Deborah. On May 3, 1773, Sarah Orne Revere died. When Rachel Walker married Paul Revere on October 10, 1773, she took on the care of the six children from his first marriage. Rachel gave birth to eight children, three of whom did not reach maturity. Large families and a high infant mortality rate were common during colonial times. Revere’s silver shop was the cornerstone of his professional life for more than 40 years. As the master silversmith, Revere was responsible for both the workmanship and the quality of the metal alloy used. He employed numerous apprentices and journeymen to produce pieces ranging from simple spoons to magnificent full tea sets. His work is regarded as one of the outstanding achievements in American decorative arts. Revere also supplemented his income with other work. During the economic depression before the Revolution, Revere began his work as a copper plate engraver. He produced illustrations for books and magazines, business cards, political cartoons, bookplates, a song book, and bills of fare for taverns. He also advertised as a dentist from 1768 to 1775. He not only cleaned teeth, but also wired in false teeth carved from walrus ivory or animal teeth. Contrary to popular myth, he did not make George Washington’s false teeth. Fabricating a full set of dentures was beyond his ability. Paul Revere was one of the key figures of the revolutionary movement in the New England colonies. When the revolutionary mood began growing in Boston, Revere became involved as an active member of Boston’s Sons of Liberty chapter led by Samuel Adams. He also used proceeds from his business to finance revolutionary activities. Revere played a major role in popularizing resistance to the Stamp Act and the Boston Massacre, through his widely circulated engravings. He helped plan and carry out the Boston Tea Party in 1775, when members of the Sons of Liberty climbed three ships anchored in Boston Harbor and dumped tea chests into the ocean to protest British taxation. 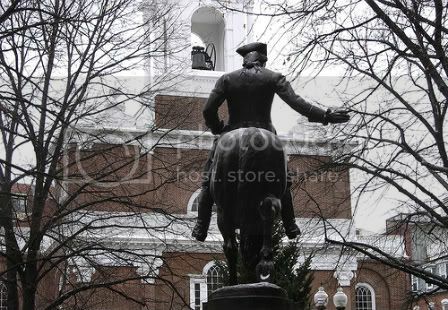 Between 1773 and 1775, Paul Revere was employed by the Boston Committee of Correspondence and the Massachusetts Committee of Safety as an express rider to carry news and copies of resolutions. He also relayed messages about British troop movements from Boston to Philadelphia, New York, and Hartford. In the year before the Revolution, Revere gathered intelligence by watching the movements of British Soldiers. 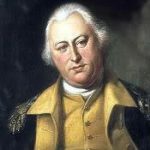 Having learned of British General Thomas Gage’s plans for a surprise midnight raid, the movement of the British on the night of April 15, 1775, aroused the suspicion of the patriots who had remained in Boston. The logical conclusion was that they were moving to capture John Hancock and Samuel Adams at Lexington or the military stores at Concord, or both. King George had put a price upon the heads of these two patriot leaders, who were attending the daily sessions of the Provincial Congress at Concord; but they lodged nightly in the neighboring town of Lexington at the house of Reverend Jonas Clarke, whose wife was Hancock’s niece. At 10 pm on the night of April 18, 1775, Paul Revere received instructions from Dr. Joseph Warren to ride to Lexington to warn Hancock and Adams that British troops were marching to arrest them. After being rowed across the Charles River to Charlestown by two associates, Paul Revere borrowed a horse from his friend Deacon John Larkin. While in Charlestown, he verified that the local Sons of Liberty committee had seen his pre-arranged signals. Two lanterns had been hung briefly in the bell-tower of Christ Church in Boston, indicating that troops would approach by sea across the Charles River to Cambridge, rather than marching by land out Boston Neck. Revere had arranged for these signals the previous weekend, because he was afraid that he might be prevented from leaving Boston. On the way to Lexington, Revere warned the countryside, stopping at each house, and arrived in Lexington about midnight. As he approached the Hancock-Clarke house, where Samuel Adams and John Hancock were staying, a sentry asked that he not make so much noise. “Noise!” cried Revere, “You’ll have noise enough before long. The regulars are coming out!” He roused Hancock and Adams from sleep; the two fled to safety. After delivering his message, Revere was joined by a second rider, William Dawes, who had been sent on the same errand by a different route. 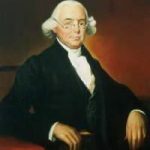 Deciding on their own to continue on to Concord, MA, where weapons and supplies were hidden, Revere and Dawes were joined by a third rider, Dr. Samuel Prescott. Soon after, all three were arrested by a British patrol. Prescott escaped almost immediately, and Dawes soon after. Revere was held for some time and then released. Left without a horse, Revere returned to Lexington in time to witness part of the battle on the Lexington Green. After delivering his message to rebel leaders, Revere continued on to Concord, intent on warning citizens along the way. The unarmed Revere was captured on the Concord Road and questioned by ten British Regulars. In their haste to join the impending fray at Concord, the British officers decided to release him. Though it was partially foiled, Paul Revere’s ride brought 130 Minutemen to meet the British troops before they entered Concord. The patriots were outnumbered, and began to disperse when the British fired a shot, starting a skirmish that left eight colonists dead and ten wounded. Who fired the first shot at Lexington that began the war for independence is still disputed. 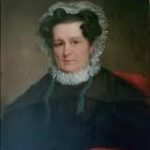 Concerned that her husband would be stranded away from home with no means of feeding himself or the horse, Rachel Revere sent prayers and 125 pounds in British currency in a wax-sealed letter, entrusting it to Dr. Benjamin Church for delivery to her husband. Church was a member of the Provincial Congress of Massachusetts and the surgeon general of George Washington’s troops, and seemed able to easily pass through enemy lines. By Doctor Church I send a hundred & twenty-five pounds, & beg you will take the best care of yourself and not attempt coming into this towne again, & if I have an opportunity of coming or sending out anything or any of the Children, I shall do it. Pray keep up your spirits & trust yourself & us in the hands of a good God, who will take care of us. ‘Tis all my Dependence, for vain is the help of man. The rebellious spirit among the colonists was by no means unanimous. Many leading citizens viewed the extremes to which Samuel Adams and the Sons of Liberty were going with very dubious forebodings. By this class, Adams and his fellows were regarded as political agitators. In their loyalty to the King, the Tories believed it was true patriotism to report the activities of the Patriots to British authorities. One of these, Dr. Benjamin Church, was so bold in his public alliances with the of rebels that he escaped detection for a long time. He was well-known, a member of the Provincial Congress from Boston, and also physician-general to the army. 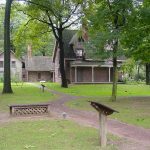 Pretending to have an active interest in the plans for resisting British aggression, he became a member of the Sons of Liberty, and was in the habit of attending the caucuses at the Green Dragon Tavern. Unfortunately for Rachel, instead of conveying her letter to her husband, Dr. Church handed it over to British General Thomas Gage. History gives no mention of Rachel’s cash, but it is presumed that either Gage or Church kept the 125 pounds. I received your favor yesterday. I am glad you have got yourself ready. If you find that you cannot easily get a pass for the Boat, I would have you get a pass for yourself and children and effects. Send the most valuable first. I mean that you should send Beds enough for yourself and Children, my chest, your trunk, with books, Cloths &c to the ferry tell the ferryman they are mine. I will provide a house here where to put them, & will be here to receive them. After Beds are come over, come with the Children, except Paul. Pray order him by all means to keep at home that he may help bring the things to the ferry. Tell him not to come till I send for him. You must hire somebody to help you. You may get brother Thomas. Let Isaac Clemens, if he is a mind, take care of the shop and maintain himself there, he may, or do as he has a mind. Put sugar in a raisin cask or some such thing & such necessaries as we shall want. Tell Betty, My Mother, Mrs. Metcalf if they think to stay, as we talked at first, tell them I will supply them with all the cash & other things in my power, but if they think to come away, I will do all in my power to provide for them, perhaps before this week is out, there will be liberty for Boats to go to Notomy, and then we can take them all. If you send the things to the ferry send enough to fill a cart, them that are the most wanted. Give Mrs. Metcalf [the letter is torn at this place] in, their part of the money I don’t remember the sums, but perhaps they can. I want some linen and stockings very much. Tell Paul I expect he’ll behave himself well and attend to my business, and not be out of the way. My Kind love to our parents & our Children Brothers & Sisters & all friends. Boston was immediately occupied by the British army, and most supporters of independence were evacuated. Rachel held the family and business together when the British wouldn’t allow Paul to return to Boston after his famous ride. Rachel Revere and her children eventually joined Paul across the river at Watertown, and the family remained there until they were able to return to their home after the British evacuated Boston on March 17, 1776. The war erupted and Revere went on to serve as lieutenant colonel in the Massachusetts State Artillery and commander of Castle Island in Boston Harbor. Revere and his troops saw little action at this post, but they did participate in minor expeditions to Newport, RI and Worcester, MA. Your very agreeable letter came safe to hand, since which I have wrote, but received no answer. I believe you are better: what a pleasure to hear! Pray take care of yourself & my little ones. I hope ere this to have been in Newport; my next I hope will be dated there. We have had the most severe N. East Storm I ever knew, but, thank Heaven, after 48 hours it is over. I am in high health and Spirits, & [so is] our Army. The Enemy dare not show their head. We have had about 50 who have deserted to us; Hessians & others. They say many more will desert, & only wait for opportunity. I am told by the inhabitants that before we came on, they burned 6 of their Frigates; they have destroyed many houses between them & us. I hope we shall make them pay for all. The French fleet are not returned, but I just heard they were off Point Judith with 3 frigates, prizes; this, I am told, comes from Head Quarters. I do not assert it for fact, but hope it is true. You have heard this Island is the Garden of America, indeed it used to be so; but those British Savages have so abused & destroyed the Tress (the greatest part of which was Fruit Trees), that it does not look like the same Island; some of the Inhabitants who left it hardly know where to find their homes. Col. Crafts is obliged to act under Col. Crane, which is a severe Mortification to him. I have but little to do with him, having a separate command. It is very irksome to be separated from her whom I so tenderly love, and from my little Lambs; but were I at home I should want to be here. It seems as if half Boston was here. I hope the affair will soon be settled; I think it will not be long first. I trust that Allwise being who has protected me will still protect me, and send me safely to the Arms of her whom it is my greatest happiness to call my own. Paul is well; send Duty & love to all. I am surprised Capt. Marett has not rote me. My duty to my Aunts, my love to Brothers & Sisters, my most affectionate love to my children. It would be a pleasure to have a line from Deby. Lawson desires to be remembered to you. My best regards to Mrs. Bennet, Mr. Burt, Capt. Pulling & all enquiring Friends. Col. Mareschall, who is one of Gen. Sullivans Adj Camps, tells me this minute that the French have took a Transport with British Grenadiers, but could not tell the particulars. Revere expanded his business interests in the years following the Revolution. He imported goods from England and ran a small hardware store until 1789. By 1788, he had opened a foundry which supplied bolts, spikes, and nails for North End shipyards, produced cannons, and cast bells. One of his largest bells still rings in Boston’s Kings Chapel. Concerned that the United States had to import sheet copper from England, Revere opened the first copper rolling mill in North America in 1801. He provided copper sheeting for the hull of the U.S.S. Constitution and the dome of the new Massachusetts State House in 1803. Revere Copper and Brass, Inc., the descendent of Revere’s rolling mill is best known for Revereware, copper-bottomed pots and pans. By the 1790s, Paul Revere had turned over most of the day-to-day operations of his shop to his oldest son, Paul Jr. In 1811, at the age of 76, Paul Revere retired and left his well-established copper business in the hands of his sons and grandsons. Revere seems to have remained healthy in his final years, despite the personal sorrow caused by the deaths of his wife and son Paul in 1813. Rachel Walker Revere died June 26, 1813. Paul Revere was buried in Boston’s Granary Burying Ground next to his second wife, Rachel, with whom he had four surviving children. Henry Wadsworth Longfellow’s poem Paul Revere’s Ride, written in 1860 and published in 1861 in the Atlantic Monthly, transformed Paul Revere from a relatively obscure figure in American history into a national folk hero. As a result, most people know him only for his famous ride to Lexington on the night of April 18-19, 1775. Revere’s life, however, was a long and productive one, involving industry, politics, and community service. On December 31, 1902, John Phillips Reynolds Jr., a great-grandson of Paul Revere, purchased Paul Revere’s house in the North End of Boston to prevent it from being torn down. Over the next few years, a committee of antiquarians, politicians, businessmen, and other Revere descendants formed the Paul Revere Memorial Association. They hired well-known restoration architect Joseph Chandler to renovate the building – the only surviving seventeenth-century residence in downtown Boston and one of the few examples of traditional post-and-beam English construction in the area. When the Paul Revere House opened its doors to the public in April 1908, it was one of the earliest historic house museums in the United States. In 2008, the Paul Revere House celebrated being open to the public for one hundred years.